Situated just outside of the Las Vegas Strip, Spring Valley is a quiet town that's lined with planned residential neighbourhoods and manicured landscaping. This family-friendly community has several great public spaces, like Desert Breeze Park. Featuring water slides and a lazy river, the Wet'n'Wild Las Vegas is perhaps the top attraction in the town. The community also serves as a major gateway into the Red Rock Canyon National Conservation Area, one of the most visited parks in Nevada. Click to book your Las Vegas tours. Located in the southern part of Spring Valley, Wet'n'Wild Las Vegas is one of the premier family attractions in the Las Vegas metropolitan area. This water park has several slides and rides that offer thrills for people of all ages. Click to book your Las Vegas tours. From the Canyon Cliffs and Rattler to Desert Racers and Royal Flush Extreme, you'll find plenty of awesome attractions for splashing around and plunging into cool water. Young ones will have a blast at Kiddie Cove and Paradise Falls. Additionally, Wet'n'Wild Las Vegas offers several on-site dining options, such as the Oasis Cafe and Waveside Cold Treats. Nested in a quiet neighbourhood, Desert Breeze Park is one of Spring Valley's top public green spaces. This modern park includes four baseball fields and two soccer fields. A skate park, picnic areas and walking trails are some of the venue's other top amenities. Several hundred outdoor parking spaces are conveniently available at Desert Breeze Park. Spring Valley is located just a few miles outside of the Red Rock Canyon National Conservation Area. This natural wonder has more than 20 trails that meander through stunning landscapes. Hiking, rock climbing, biking and overnight camping are some of the popular activities at this preserved national park that occupies more than 197,000 acres. The park's visitor centre is located approximately 15 miles away from this residential town. You could explore most of the park by taking a ride on the Scenic Loop Drive, which runs for just more than 12 miles. People who lodge in the resorts on the Las Vegas Strip often stop in this community en route to the Red Rock Canyon National Conservation Area. Having a layout of a modern strip mall, Chinatown Plaza of Las Vegas sits on the border with Spring Valley. This commercial enclave includes several restaurants and markets that serve Chinese and other Asian cuisine. You'll also find multiple shops and boutiques that sell Las Vegas-themed souvenirs, furniture, home decor, artwork and other sundries. Chinatown Plaza also hosts some of the biggest ethnic festivals in the Las Vegas area, such as the Chinese New Year's celebration. Surrounded by beautiful canyons and mountains on the west, Spring Valley is located within a few miles of the urban Las Vegas Strip. West Tropicana Avenue and West Flamingo Road are some major thoroughfares that directly link this residential community with the most vibrant part of Sin City. The Bruce Woodbury Beltway also connects the town with Interstate 215 and Interstate 15, which are some of the busiest highways in Nevada. 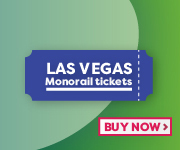 Public transit in the area is provided by the Regional Transportation Commission of Southern Nevada. Bus route 202 of the RTC stops at various points along W Flamingo Road. Route 102 runs northbound and southbound through the community. In normal traffic conditions, a taxi or Uber ride from Spring Valley to the Strip should take less than 15 minutes. Additionally, McCarran International Airport is located less than five miles away from this town.